Dining: Try new things every time, eat during off-peak hours, bring snacks. Plan on spending $50-$60 per adult, per day for food, snacks, etc. ( young kids = 1/2). Assumes all counter service meals Note: Character dining and sit-down meals can easily be $50 per person You can bring your own snacks and water into the park, no hard coolers, no glass. Character meals are a great way for your kids to get one-on-one face time with the characters, but they are not a very good value for the money. 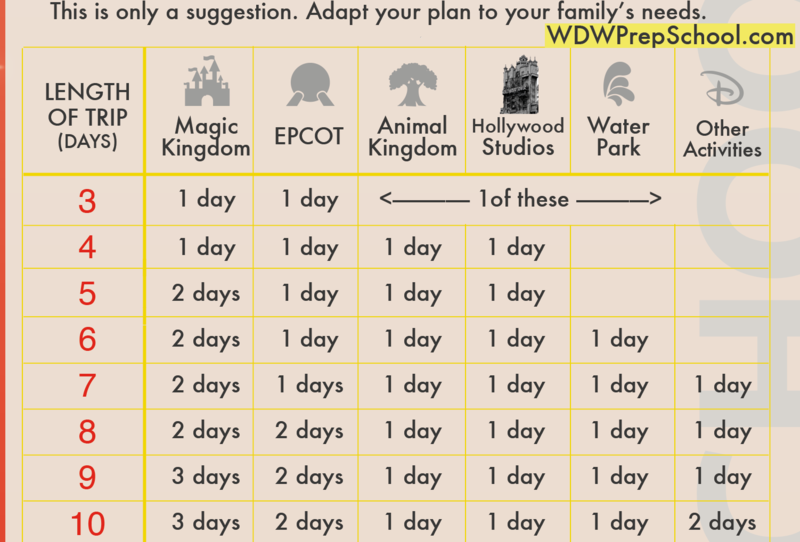 If you decide to do one, I recommend breakfast only, since it is the cheapest, and either Chef Mickey’s at the Contemporary or the Crystal Palace at Magic Kingdom. Also, your kids may freak out when seeing characters up close for the first time (think of Santa) and you don’t want to spend money on this if they do not want characters near them. You can do a meet and greet in a park first to see how they handle characters if you are not sure. There are lots of great places to eat in Disney, and also lots of not-so-great ones. Use the reviews on the AllEars.net website to find the best reviewed places, and the ones that have what your family/group wants to eat. Some of our favorite places are: Magic Kingdom: Columbia Harbour House, Main Street Bakery, Liberty Tree Tavern, Be Our Guest Epcot: Boulangerie Patisserie in France (Ham & Cheese Croissant! ), Sunshine Seasons, Kringla Og Bakery in Norway, Katsura Grill in Japan Hollywood Studios: Starring Rolls Café, Fairfax Fare, Backlot Express Animal Kingdom – Flame Tree BBQ, Yak n Yeti DownTown Disney – Earl of Sandwich, Paradiso 37 A friend told me that you need to make the reservation for the Character dining at least 180 days in advance otherwise, it might not be available. Many Disney table-service restaurants ( 18% gratuity charge ) are quite popular and book quickly. Please make dining reservations up to 180 days in advance. Lodge: Room Rates vary throughout the year( value season to peak season) and during the week( weekdays are cheaper than weekends). When determining where to stay, don’t only take the cost of the hotel into account, but rental car, parking( cost and time), benefits of extra time in the parks, etc., before you make a final decision. There are on site and off site hotels. On site hotels: 1. More expensive than most of off-site options 2. 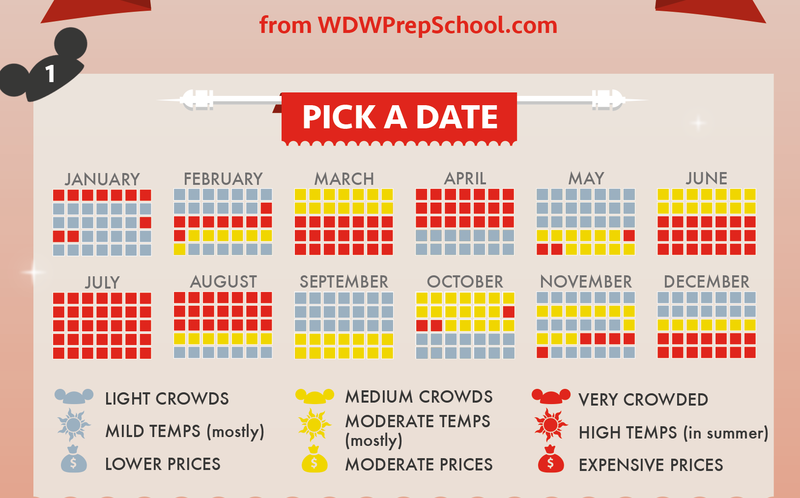 Disney Dining Plan ( Optional ) 3. Extra Magic hours 4. Earlier access to FastPass+ Value Resorts $96 - 224/night Moderate Resorts $182 -285/night Deluxe Resorts $325 - 835/night Deluxe Villa Resort $368 - 1300/night Off site resorts: 1. Less expensive 2. Decompress from Disney 3. Larger spaces available( Vacancy) suggested off-site resorts: Swan/Dolphin, Vonnet Creek Holiday Inn Downtown Disney Michelle highly recommend staying on Disney Property (on site hotels). advantage: 1. do not need to rent a car ( if you fly there), there is free bus service from every park to every hotel in every 10 - 20 minutes. ( usually $17 a day for parking fee); 2. has Extra Magical Hours - for guests staying on property you get 1 extra hour in the morning and 2 extra hours in the evening on select days. It is worth its weight in gold if you can get up an hour early - we get more done in that 1 hour that 3 hours of regular park time, which frees us up to go back to the hotel for a swim or a nap in the middle of the day when it is hot. Lastly, the theme at Disney resorts is unparalleled, and there is a magic there that you will never forget. You don’t get that offsite, and you can’t pay for it. Value resorts are your best bet, and I highly recommend Pop Century – very cool hotel, and it has dedicated bus service (All-Star resorts share buses). Art of Animation is the newest value resort, and it is very, very well themed, but the suites are pretty pricey.